There's a reason why I don't write about or comment on technology. While I have an appreciation for it and am amazed at new gadgets, computers, games and software, I don't know enough (or care enough, quite frankly) to comment on them with any authority. So, I was amused to find a couple of articles written on techy websites recently that where the authors thought it was a smart idea to comment on guns. Now, look, I get it, it's a free country. Comment on whatever you like. Everyone has an opinion. Fine and dandy. But before you go publish something online or in print, shouldn't you have at least a cursory understanding of the subject at hand? Let's start with the least offensive, a piece at C|net.com by Ben Rubin and Terry Collins entitled “Smart guns? Not at these big tech and gun shows”. Rubin and Collins went to Vegas to the year's biggest tech and gun shows — CES and SHOT — and were amazed to discover that out of over 5,000 combined exhibitors, only one is showing off “smart gun” technology. And he's not at SHOT Show. Why would gun buyers be most interested? Rubin and Collins are tech guys, so they should be smart people, right? Let's consider that last sentence. Smart gun technology could (emphasis on the word COULD) cut down on stolen guns. Unless you count the 300-million dumb guns already in circulation. You would have to replace all 300-million dumb guns with new fangledy smart ones in order to make a dent. And even then, it's iffy. Tech is not infallible, as we all know. 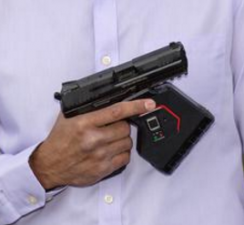 Smart guns COULD cut down on gun accidents. Again, reference the numbers in the previous point about stolen guns. You still have a ton of dumb guns out there. And accidental gun deaths are so rare as to be almost statistically zero, so even if you did replace all the dumb guns, you're saving so few lives it's hardly worth the cost. 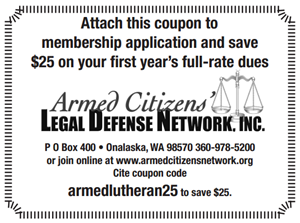 There are far more effective ways to reduce the already low number of accidental deaths by firearm. And lastly, smart guns COULD cut down on school shootings. Again, you have to solve the aforementioned 300-million gun question, but setting that aside AGAIN, tell me how smart guns would stop school shootings. Except for Newtown, where the shooter killed his mom and stole her guns, name for me another school shooting where smart gun technology would have made a bit of difference? Virginia Tech? Umpqua Community College? Now, in fairness, Rubin and Collins attribute these assinine claims to unnamed “Proponents” of smart guns. But they don't bother to apply basic logic to the idea and just let it slide like it's gospel truth. It's patently absurd, but the authors don't even question it. The authors do a pretty good job laying out the criticisms of smart gun tech. Citing New Jersey's Childproof Handgun Act and the potential for unreliability and increased cost. They fail to mention the possibility that the government could demand a backdoor to allow them to turn off people's guns in the name of national security, similar to the government's demands under the Patriot Act and their current pressuring of Apple to turn over it's encryption keys for cell phone data. Again, no curiousity, just a regurgitation of stats without context. So, let's look at that poll, shall we? Since Mr's Rubin and Collins didn't care to do it themselves. Interestingly enough, you can find the results on the NSSF's website. The Penn Schoen Berland poll, presented in January of last 2015 Was not a written poll. Not a phone poll. Not face-to-face. It's entirely online. The sample consisted of just 800 respondents. Here are the FOUR questions from which they make these sweeping generalities. But what if the person filling out the survey was a liberal kid who hates his dad's guns? Or a wife who is scared of the husband's firearm collection? Or a relative living with family members who own guns? The respondent might not actually own the guns in the home. By definition they live in a home with guns but they may not actually be a gun owner. And since the poll was conducted online, how do you verify this? Well, if the guns aren't yours or if you are scared of them, of course you would. The poll results present this slight-of-hand without even acknowledging it. “Slightly less than a third of Americans claim to have a gun in their household” they declare based on just 800 internet answers. Then, based on question 2, would you consider swapping the guns in your home (not YOUR own guns) “40 percent of gun owners would consider swapping their current gun for a smart gun”. They never established that the gun was the respondent's gun in the first place and then present it as if it is. This is just shady. “How strongly do you agree or disagree that gun dealers should be allowed to sell “smart guns”? How strongly do you agree or disagree with the following statement? Once the technology is commercially available, there should be a law saying that all firearms sold must be so-called “smart guns“. To that question, which our techie authors make no mention, only 51% agree. Only 38% of “gun owners” agree with that idea, which should tell you how many of the “gun owners” are actually “gun owners” and not just somebody living in a house with guns. One stat I do find interesting, of the 40% of so-called “gun owners” who claim they would consider swapping their guns, the percentage drops dramatically the older the respondents are. 54% of those 18-44 say they would consider swapping, in the 45-54 bracket its down to 41% and over 55 it plummets to 23%. That first bracket is totally screwy. 18 year olds are, for the most part, clueless. They lack the life experience that a 44-year-old has, so having them in the same bracket tells me they built that bracket to produce a desired result. I suspect if you break it down, the majority of those responding in that bracket are under 21. The whole study is a shoddy mess, as with most anti-gun propaganda, but our intrepid tech writers didn't take time to find that out. They just rolled with the talking points. Gee…I wonder why. You think that law in New Jersey mandating smart guns might have something to do with it? If smart guns hit the shelves, citizens of an entire state have their rights affected and their economic choices impacted because of a idiotic law written by clueless politicians who don't know the first thing about guns or gun safety. Oh, the irony. The tech show is a gun free zone. A little hard to market a firearm, even a smart one, in a liberal kill box. The IdentiLock IS a gun lock as you can see from the picture at the left. It's a biometric lock that covers the trigger guard. It's not a smart gun. They just called it a gun lock in one paragraph and then suggested it should be categorized as something else at the SHOT Show. It's not being presented under a different category. It's a gun lock. Good grief. Look, I expect liberal politicians and statists and the #gunsense useful idiots say and write the dumbest things. But these guys are technology savvy. They are supposed to be smart. At least take the time to educate yourself before publishing an article that makes you look so dumb. 1 Comment on "Why Are Smart Guns So Dumb?" I do not want or need a gun that has to decide if I am the legal owner. My guns must fire when I pull the trigger. I do not have the time if I am threatened with deadly force to wait for my gun to decide if I allowed to fire it. Smart Guns are a DEAD END.